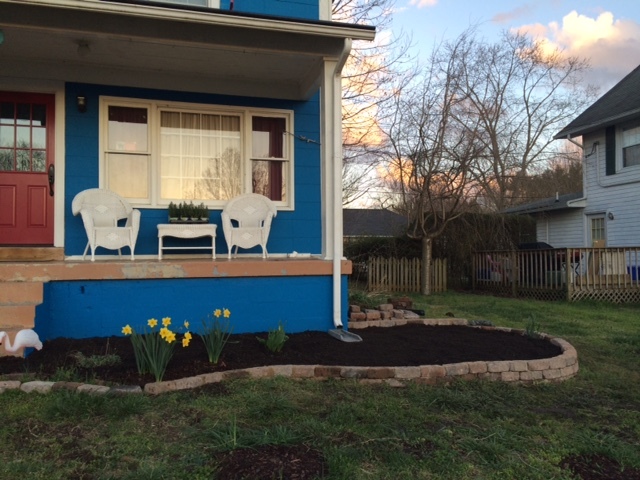 After an entire weekend of steady work in uncertain weather, my new garden bed is ready for planting. 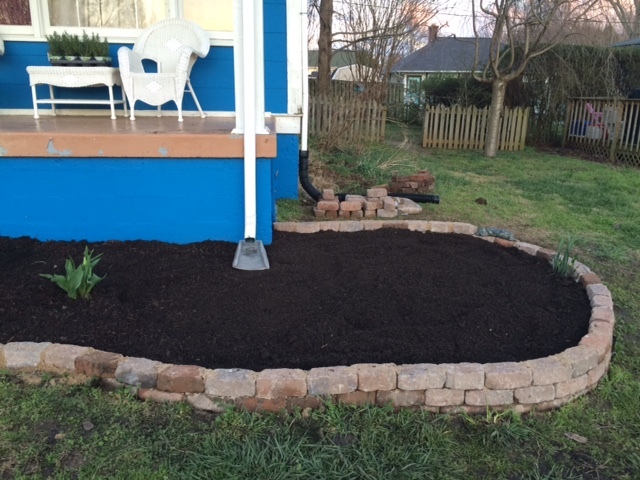 The wall itself is not complete, but the sloped area is now level enough that I can proceed with planting. We filled the bed with a mix of Black Kow Composted Cow Manure and Kellogg Garden Organics All Natural Garden Soil. Black Kow is my favorite manure. It has a picture of a cow on it, so what’s not to love? I selected Kellogg garden soil because it did not contain any fertilizer. My bands (baby roses) arrived with strict instructions to not use any chemical fertilizer in the the first year, as it will burn their little baby roots. I used my Ryobi cultivator to mix the garden soil and manure with the soil already in the bed. Since we have had so much rain, the soil in the bed was very soggy and hard to work with. After mixing it well, I smoothed the surface with a hand cultivator to make it ready for planting, and to make it look pretty! 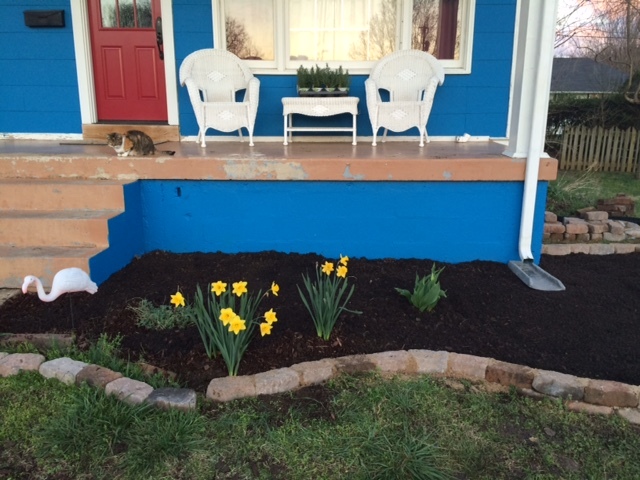 I still have to finish the final bricks on the bed to the right of the walkway. That area is fairly level, so not having the edgers in place won’t hold up planting. 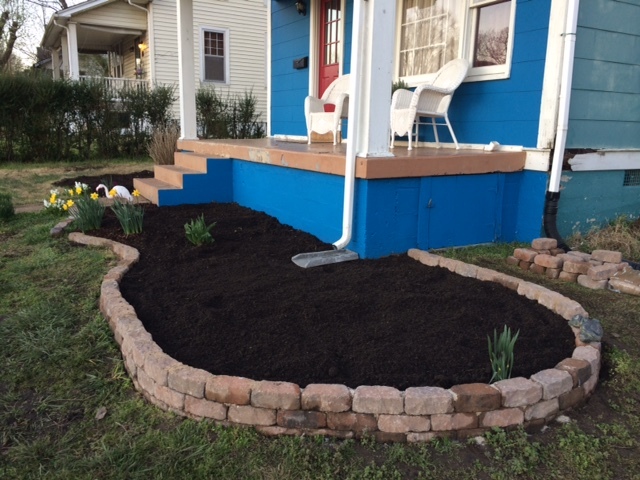 And it looks like I will have enough bricks left over to complete the bed on the left side of the walk as well. All that’s needed now are my roses and other plants!